Mary Jane CApron setting up afused - glass artwork in her studio at ClearWater artist studios. 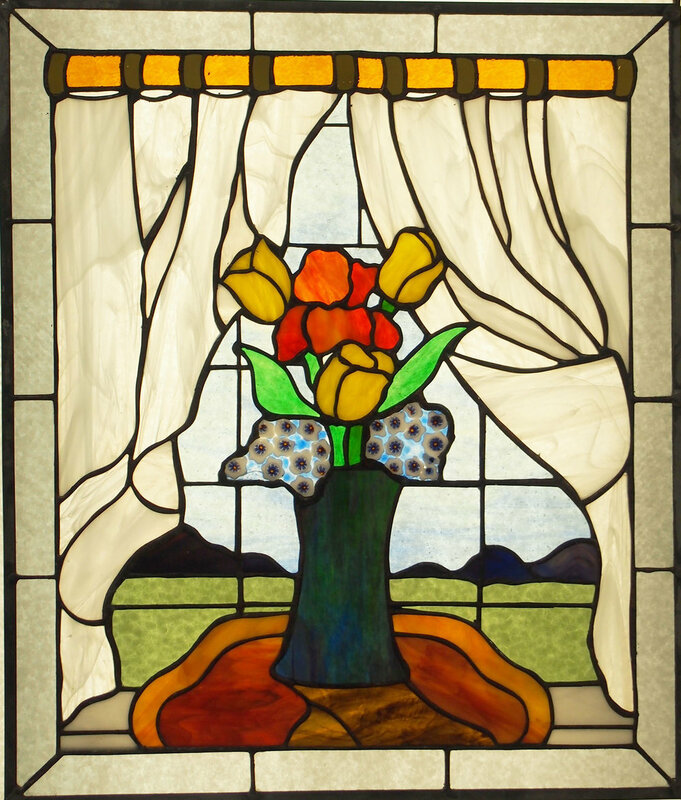 Mary Jane Capron took private and university art classes for several years, but started learning about glass art six years ago. She says: "Principally I am a glass artist – I love working with various forms of glass to make beautiful pieces of art. My pieces are created in three different ways - first and most familiar to people is cold working. 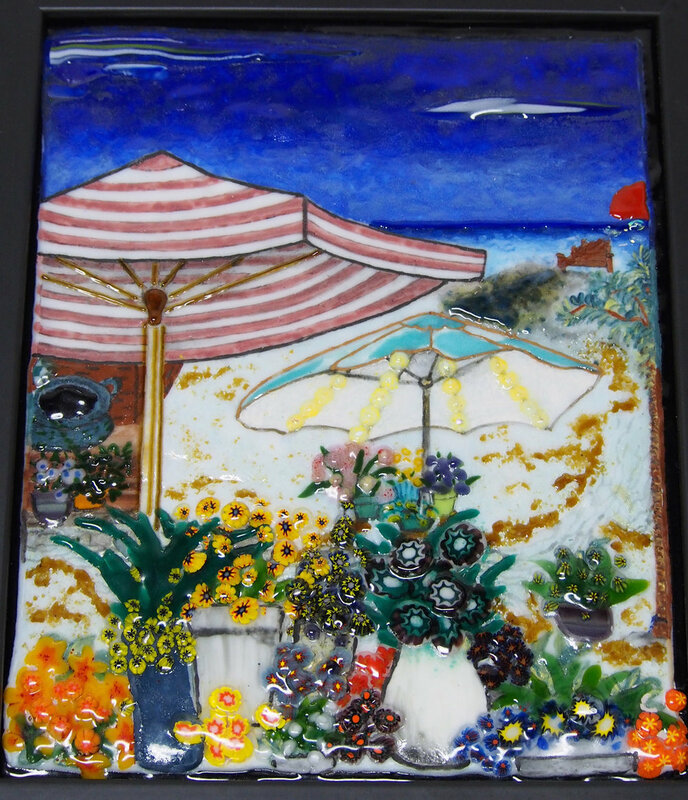 I also make mosaics using stained glass, fused glass pieces, and/or glass tiles." 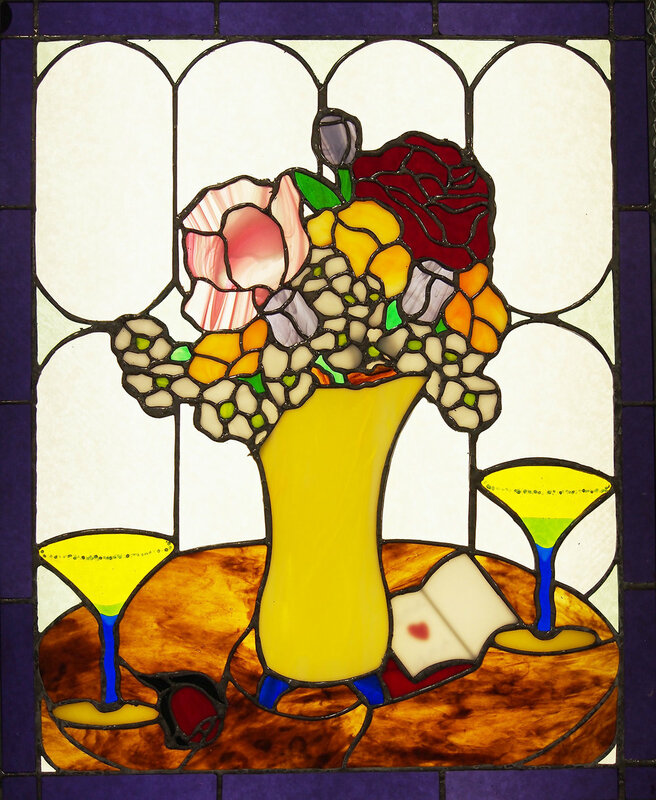 About the process in Glass: This (cold working) involves cutting and soldering together shapes of clear or colored glass to make panels, lamps, windows, vases, lanterns – the possibilities are almost endless. Then there is warm glass, called fusing, where pieces of clear and colored glass are arranged and sandwiched together, then melted in a kiln to join the glass permanently together. Warm in this context is actually hot! Temperatures to fuse glass vary between 1200 to 1450 degrees, depending on the desired effect. The hotter and longer the glass is heated, the rounder and more blended the final piece. I can teach any of these methods to those age 14 and above. Please text me at 404-784-0131 to arrange a class, buy an existing piece, or commission a work.